When repairs or preventive maintenance of the Bicycle, it is important to dismantle its components and parts. This applies primarily to the front sprocket and BB mechanism. The correct disassembly and Assembly of this site will depend largely on the longevity of the bike and its smooth operation. Set the bike upright (you can lean him against the wall). Prepare the key and a special puller for the sprocket. You will also need clean rags. Dismantled items conveniently positioned on the sheet of old newspaper to prevent their contamination. Start by disconnecting the connecting rods. Loosen the blade nut on 3-4 turns. 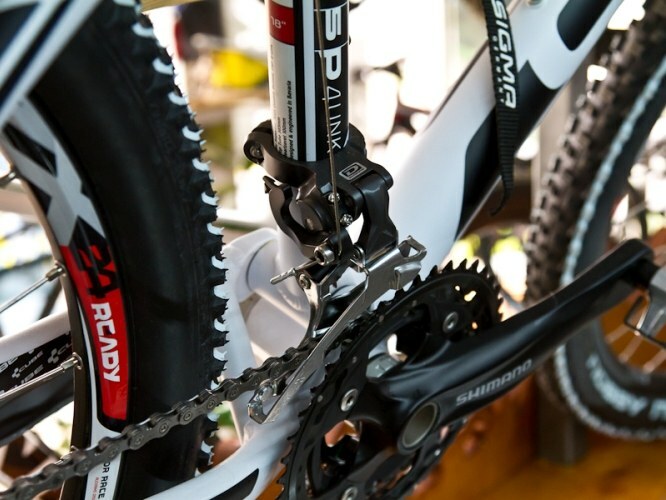 Put the cranks in a horizontal position. Big head of connecting rod back from the bottom. Loosen the blade, causing a few little whacks on the nut of the blade using pre-prepared wooden lining. Unscrew the nut, remove the blade and remove the right crank. A similar operation guide and the left crank arm. The front sprocket is usually mounted on the right crank as a single unit. On some models of bikes star can be attached by several bolts. In this case, sequentially remove the fasteners and detach the star from the carriage mechanism. Some designs of sports and road bikes involve the use when removing the sprocket suitable puller. Unscrewing the bolt, insert the puller and using a wrench loosen the attachment mechanism to the sprocket. For preventive maintenance it is necessary to complete the disassembly of the entire Assembly. After removing the rods, loosen jam nut, then the left and right cups. Note that the right Cup has a reverse thread, so it should rotate to the right. Remove the carriage shaft and the separators. After dismantling the whole unit to inspect its elements. Clean them of the old grease and make sure the parts have no visible defects. If damaged, replace with serviceable. Apply to part of the carriage with new grease. Assembly in reverse order of removal. When assembling please be careful not to spill the retention mechanism of the chainring of sand and dirt.